The mere fact that you are reading a blog about community resources tells me that you probably have a good heart. You are forever grateful for the help you’ve received over the years from family and friends and show that appreciation by giving back to others. Essentially you’re the type of person that non-profit organizations hope sign up for their Thanksgiving volunteer events! In this guide we make an attempt to connect you with those Thanksgiving volunteer opportunities in Houston. Below you will find multiple events that offer you a chance to give back. I’ll start by telling you about the Thanksgiving events that occur on an annual basis. The events below occur each Thanksgiving and require 100s if not 1000s of volunteers to operate. Looking to shed a few pounds, prior to your Thanksgiving meal? If so, the Turkey Trot is your jam. This annual race that raises money to support deserving individuals in the community. The local non-profit Baker Ripley organizes this event. The race takes place on Thanksgiving morning (7:30am) in the Galleria area, right outside the Dillards. If you’d like to volunteer there are opportunities like setup, clean up, runner registration, medal presentation and more. If you’d rather run that’s cool too, because there are 3 different race types which include the 10K, 5K and Kids Run. 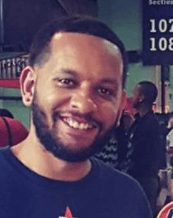 The cost of registration ranges between $20 – $40. Again proceeds from the race directly benefit everyone from kids at local head starts to seniors who eat at Baker Ripley Congregate Meal sites. The City Wide Club’s Super Feast is exactly as advertised. It’s an annual Thanksgiving meal that feeds roughly 35,000 Houstonians. The meal takes place on Thanksgiving Day at 10 am inside George R. Brown Convention Center. If you need a meal, you’ll have to contact City Wide Club to register. Their phone number is 713.752.2582. Call them to request a food basket or reserve your place at the Thanksgiving dinner. Although the event takes place from 10 am to 2 pm, it is first come. Arrive as close to 10 am as you can to be assured you get some grub. If you want to volunteer go here. The first shift is 7:30 am to 1 pm. The second shift is 12:30 pm to 4 pm. Another Thanksgiving volunteer opportunity in Houston is working with Interfaith Ministries Meals on Wheels program. Over 4,200 seniors from Houston to Galveston receive hot, nutritious meals each day. On Thanksgiving they Interfaith Ministries really gets busy delivering 13,000 holiday meals! If you’ve got a car and a few hours to spare, you should consider this opportunity. Volunteers begin their delivery routes around 9 am and most finish by 2 pm. If you’d like to deliver Thanksgiving meals to seniors on Turkey Day go here. If you do not live inside the 610 loop, consider working with a local assistance ministry. They are always in need of volunteers. Houston homeless shelters provide another option for volunteer work on Thanksgiving. We created an Ultimate Guide To Finding Homeless Shelters In Houston. Inside this guide you will find phone numbers to each shelter. There is always work to be done at a shelter, therefore you could literally call any shelter in our guide and I’m certain they would accept your offer to help. If the ideas above don’t interest you, consider local Houston volunteer websites. This website will match you with a nonprofit that best fits your skillset. On this site you will find everything from positions at pet shelters, schools, urban gardens, even the VA. The City of Houston Volunteers Initiatives Program can also connect you with volunteer opportunities. A quick look around this site and you will find volunteer opportunities work with City of Houston, Bread of Life, the office of New Americans & Immigrants and more. For more information visit Houston Service. You can also call the Volunteer Initiatives Program at 832.393.1061. 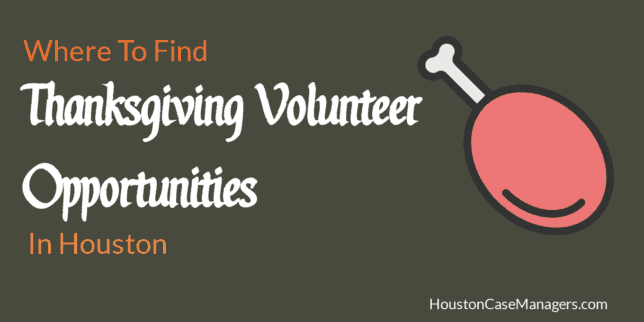 Another place to find Thanksgiving volunteer opportunities in Houston is Eventbrite. On the site you will find free events, workshops, trainings, and in the case of this article, volunteer opportunities. We’ll that day is finally here my friend! Whether you are looking to volunteer at the Turkey Trot, Super Feast, your church or local area ministry there are plenty of ways for you to give back this Thanksgiving. Have you ever volunteered on Thanksgiving? If so how was that experience. Tell us about it in the comments below.